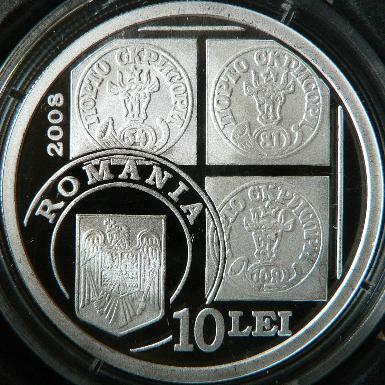 Obverse: face value "10 LEI", year 2008, ROMANIA and coat of arms or Romania in the shape of a stamp, partially superposed on the Moldavian postage stamps of 54, 81 and 108 paras (parale in Romanian) from the first "Bull Head" issue; the postage stamps lay on an envelope Reverse: the postage stamp of 27 parale from the first "Bull Head" issue on an envelope, inscription „CAP DE BOUR” meaning "URUS HEAD" and ratio 15/7 representing the date of July 15th in the shape of a stamp; above year 1858; under the postage stamp, letter E and a star inside a circle - the symbol of EUROPA program (coins for numismatists), along the edge inscription "PRIMA EMISIUNE DE MARCI POSTALE ROMANESTI" meaning "FIRST ROMANIAN POSTAGE STAMPS ISSUE"
This coin was dedicated to the 150th anniversary of the first Romanian postage stamps - the Moldavian "Bull Heads". 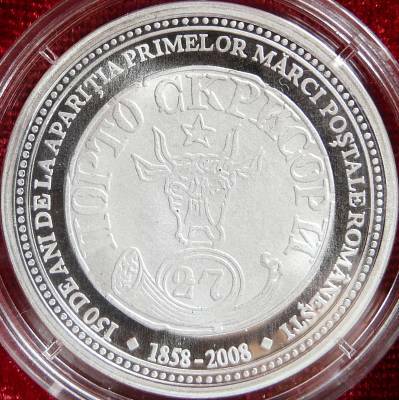 The coin was part of the "Europa" program of coins issued for numismatists. Several European mints take part at this program each year. The topic chosen for 2008 was "The European Cultural Heritage". The 10 lei 2008 coin pictures above are present on the site through the permission of an anonymous donor. 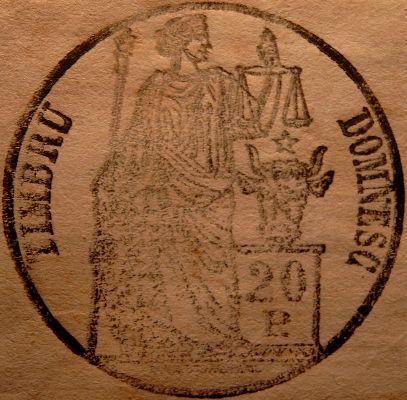 About the first issue of Moldavian "Bull Heads"
The first Romanian postage stamps were issued in July 15th 1858 at Iaşi (or Jassy), the capital city of the Principality of Moldavia. In fact, the stamps were released into circulation a week later. In July 22th 1858 at Iaşi were posted the first 15 simple letters and 7 registered letters using Moldavian postage stamps. In the rest of Moldavian cities the postage stamps were used starting from August 4th (September 1st at Galaţi). At November 1st the postal tariffs were changed, and the first Moldavian postage stamps were withdrawn from circulation. In their short circulation period only 11.746 postage stamps were sold. Only a few hundreds of them survived until our days, so the "Bull Head" postage stamps from the first issue are today great philatelic rarities. The first "Bull Head" postage stamps issue comprises four values: 27, 54, 81 and 108 parale (40 paras = 1 accounting leu; at the monetary reform from 1867/68 the sum of 108 paras became equal to 1 new leu). Using a postage stamp of 27 de parale one could send a letter of up to 2.5 drams (approximately 8 grams) on a distance shorter than 8 stages of post route (approximately 125 kilometers). The addressee was to pay to the carrier another 5 paras. The postage stamps were printed at Iaşi, at "Atelia timbrului" (Stamp Workshop), in sheets comprising 4 rows of 8 stamps, with a press brought from Vienna. The two rows from the lower part of the sheet were turned over with 180 degrees, so tête-bêche pairs also exist. The paper was bought from Iaşi and the gum - "gummi arabicum" - was manually applied with a brush. The four steel clichés used for stamping the "Bull Heads" are nowadays displayed at the Philatelic Museum in Bucharest. On the postage stamps an aurochs head with a star between horns - the coat of arms of the principality of Moldavia - and a bugle are represented. In the coil of the bugle the stamp face value is written with Arabic numerals. The inscription PORTO SCRISORI (scrisori = letters in Romanian, messages sent by mail in envelopes) was written with Cyrillic letters. The term PORTO was written on the stamps by mistake, because porto means that the tariff must be payed by the addressee. The correct word is FRANCO - meaning that the tariff was paid by the sender. The „Atelia timbrului” printing house was established in 1856 by prince Grigore Ghica, ruler of the Moldavian principality between 1854 and 1856. 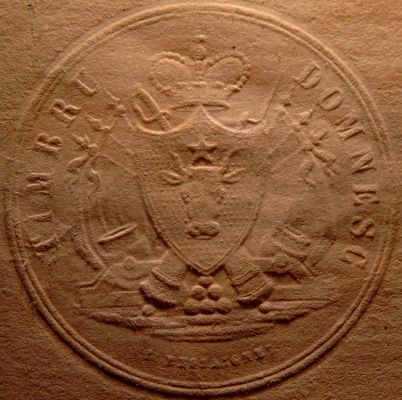 Here were printed paper sheets with the coat of arms of Moldavia, with one "dry stamp" - a seal in relief - and one "weat stamp", a revenue stamp. These sheets were used for diverse documents such as contracts. 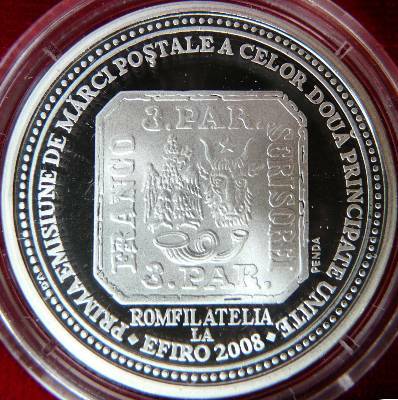 For EFIRO 2008 (EFIRO stands for Expoziţia FIlatelică ROmână - Romanian Philatelic Exhibition) 300 silver medals were also struck. The graphic concept of the medal was created by the renown Romanian artist and engraver Octavian Ioan Penda. The coat of arms of Moldavia has the urus (aurochs) head as the central element. 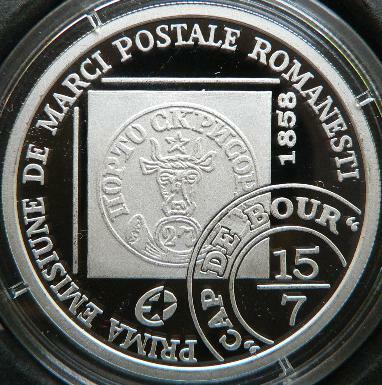 So, in Romania, the stamps issued by the principality of Moldavia in 1858 and 1859 are named "Urus Heads" or "Aurochs Heads". As this was not widely known, the name of these rare stamps was "re-created" outside Romania as "Bull Head" stamps. This later name is not correct, the former is to be preferred.